Happy Valentines day everyone. Hope you are all having a nice day. Me and my boyfriend don't celebrate Valentines so it's just a normal day for me. 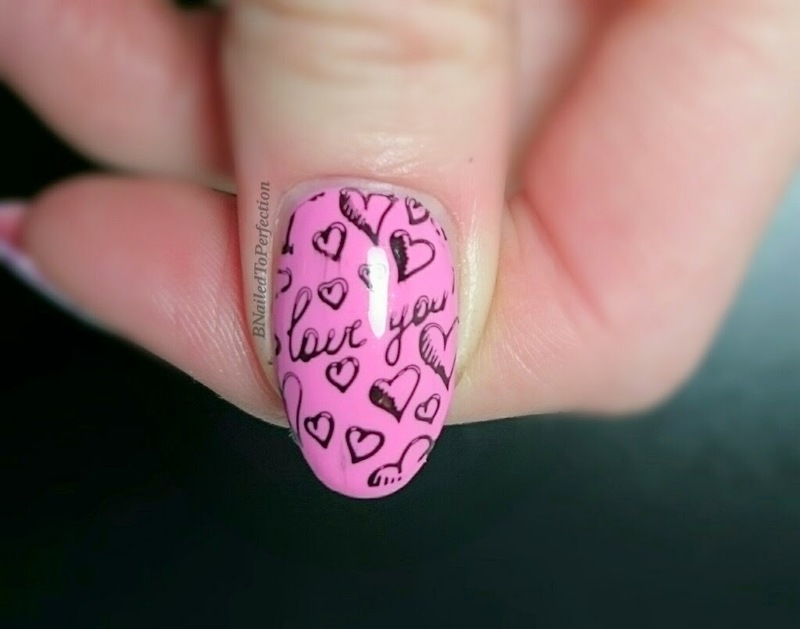 I wanted to do another Valentines themed mani but I haven't been very well this week so I just went for something simple. 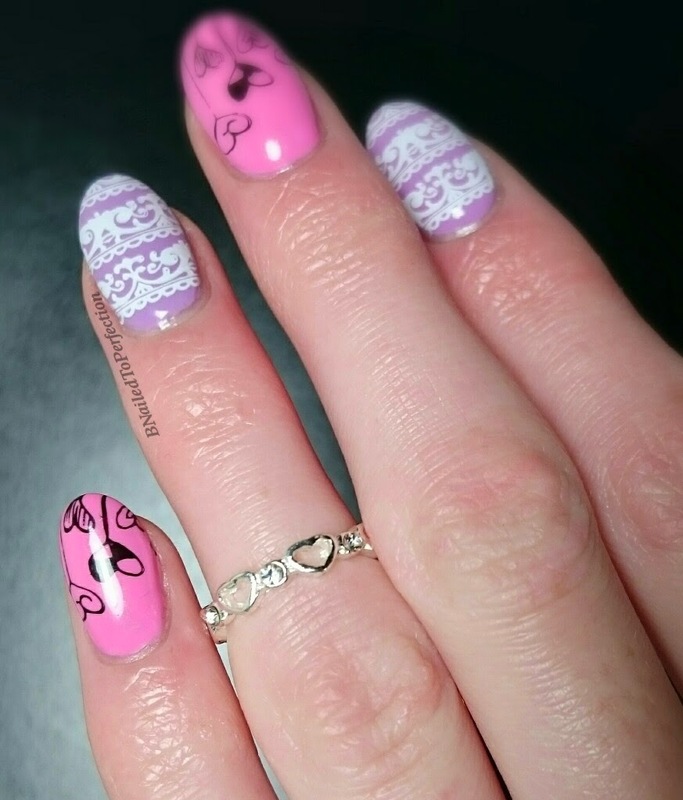 I covered up my existing gel polish mani with a white polish base and then chose two Barry M Polishes that I thought looked nice together. 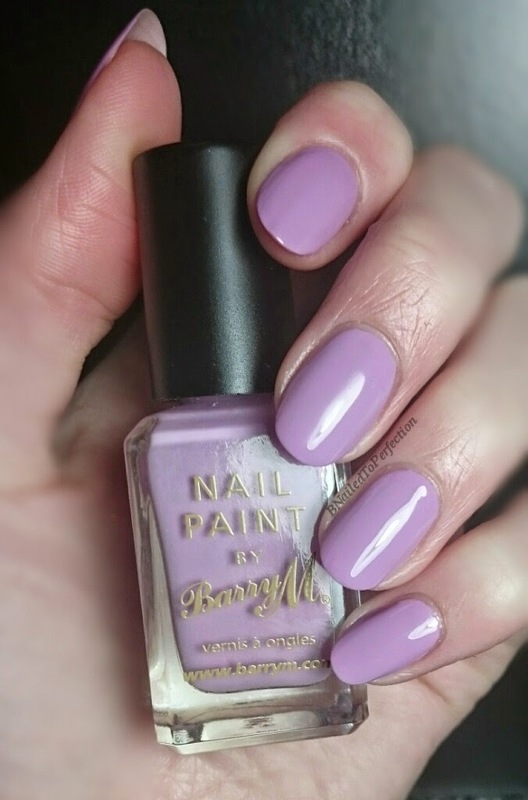 Dragon Fruit is from the Barry M Gelly Hi-Shine Collection. It is a bright bubblegum pink with subtle glitter running through it. This is 3 thin coats with no top coat. Berry Ice Cream is a pale pastel lilac. This is 3 this coats with no topcoat. For the stamping I used MoYou Bridal plate 07 and MoYou Festive plate 19. I have just got a new top coat, Glisten and Glow HK Girl, and it is great for topping stamping. Very fast drying and so glossy! Unfortunately on my thumb I didn't have enough polish on the brush and it smudged the design a bit. 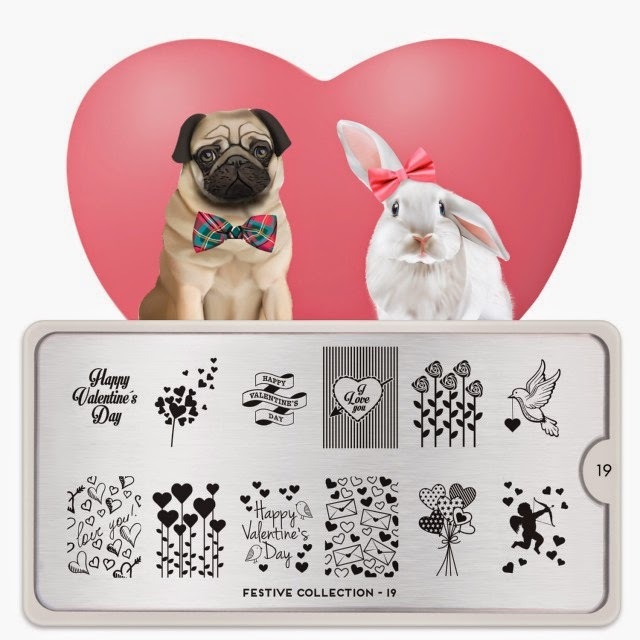 I also receive my new Creative Shop stamper and I love it! It is taking some getting used to as it is larger than my others but it is well worth it! I stamped a bit wonky on my middle and ring finger, but I'll let myself off as I wasn't well. Here's a shot of my cute midi ring. 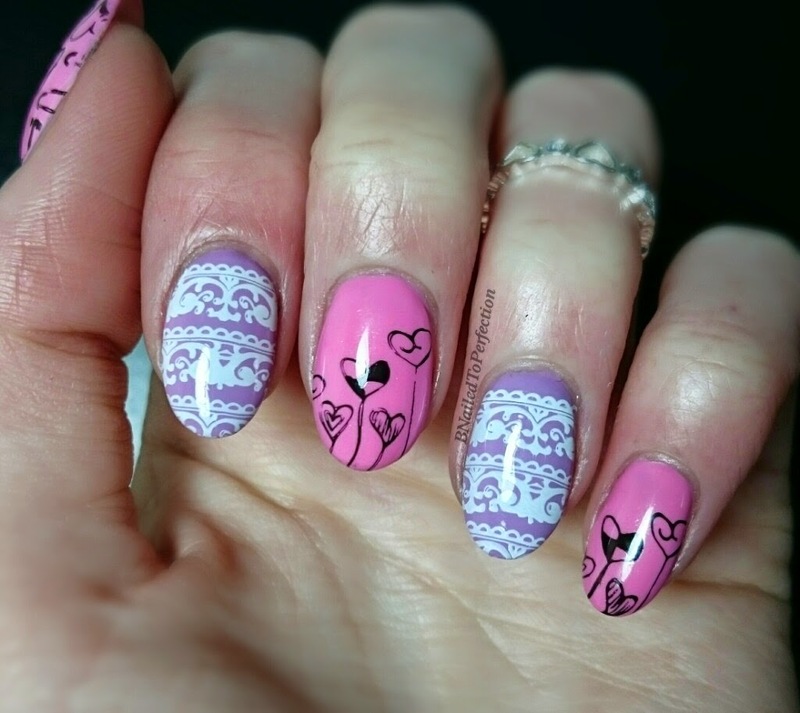 What did you think of this mani? Do you do anything special for Valentines?